Wholecut" refined elevator shoe in dark brown full grain calfskin. 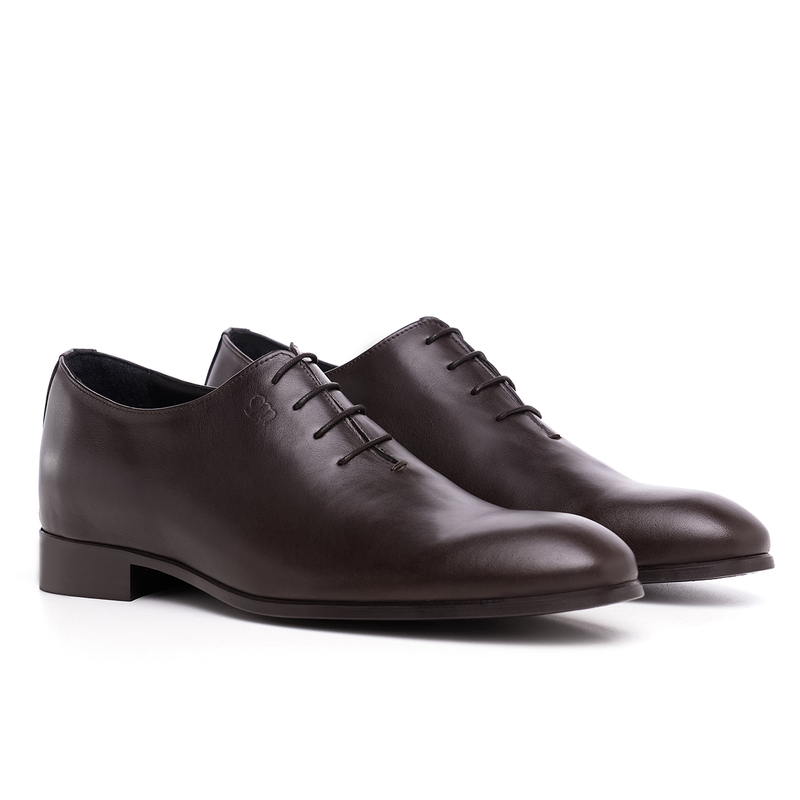 A shoe obtained thanks to a meticulous handcrafting technique in which the upper is created using a single piece of leather without stitching. A luxurious and refined shoe able to increase height by 2.4 inches. With its extreme comfort and elegance it is ideal to wear at any occasion.